For the 20-year-old Van Lew, who has been colorblind her whole life, some colors have just been left to the imagination. She loves painting, but her wife Molly has to help her pick and mix colors. Last week, however, Van Lew visited the scenic mountaintop again. She looked through a special viewfinder. For the first time she saw yellows, oranges and reds. They were exploding across the landscape. A colorblind viewfinder was installed atop the Ober Gatlinburg resort. It was installed by the Tennessee Department of Tourist Development. It is one of three in the state that debuted last Wednesday, letting people gaze upon colors that they may have never seen before. 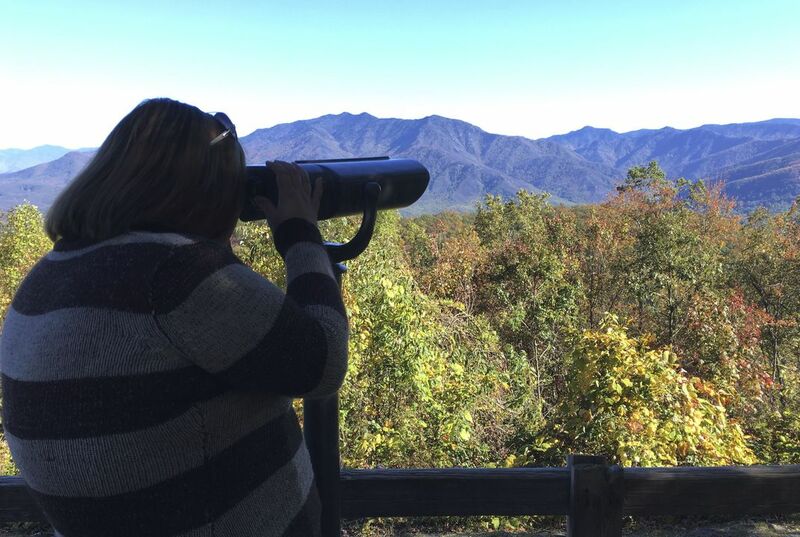 The other two viewfinders are at scenic areas of Big South Fork National River and Recreation Area near Oneida, and at the westbound Interstate 26 overlook near Erwin in Unicoi County. Although the technology isn't new - eyeglasses that let colorblind people see colors are already available - state officials believe this is the first time it's been incorporated into a viewfinder. They cost $2,000 apiece. They help people with red-green color deficiencies. How crisply the viewfinders display new colors can vary from person to person among the 13 million or so people in the country with color deficiencies. State tourism officials invited people to try it out last Thursday at Ober Gatlinburg, bringing them up by ski-lift, but leaving the details somewhat vague to maintain the element of surprise. A crew filmed their reactions for marketing material. This is a adaptive technology I think it is very helpful and allows people to see other things. I hope that more come and more people can see color. It was very good. There is a new invention that works miracles! It is called a colorblind viewfinder. It's purpose is to help the colorblind see colors that they usually can't. You can find them in scenic and colorful areas, such as parks. There is a type of technology that the new view finders find that are adaptive/assistive. Because of the viewfinders, Lauren Van Lew and other colorblind have discovered new colors. For example because of technology, there are eyeglasses that let them see colors! They are so shocked and are so overwhelmed by the view of the colors. Van Lew was surprised at what the technology had to offer! She said,"That red, it's just gorgeous. It's incredible." and,"How do you see like that all of the time?" This shows how technology really helps and improves people's life-style and can make a huge difference. I thought this was a very sad and good topic to read about. To not really see colors is really sad and now that they can is amazing. Leaves are a good subject because they change colors. The viewfinder is assistive. 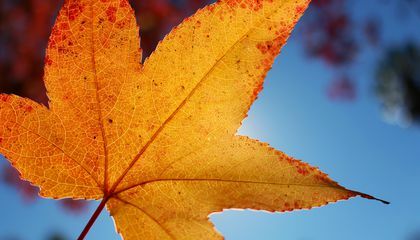 In the story, a woman who is color blind was able to see the beautiful colors of fall. It allows the people to gaze up to the colors they haven't seen before. How crisply the viewfinders display new colors can vary from person to person among the 13 million or so people in the country with color deficiencies. The viewfinder helps, allows, and gives people a firsthand look of different views. The technology that the new viewfinders made was for the people who were colorblind. This technology helps the colorblind people see colors. The technology is special eyeglasses that help people see the beautiful colors of nature. They cost about $2,000 apiece and they help people with red-green color deficiencies. The viewfinders had people who were colorblind try them on. The people were so happy because they can see the vibrant colors and live the moment. The viewfinder is not new technology, it is sold in the form of eyeglasses already. However it doesn't change fact that it can change a life. There were three examples of people that found their first look at color amazing. It was also smart to put it in front of an scenic place such as a mountain.